State Police intercepted a suspicious package being shipped to 28-year-old Brett Delong in Bedford, New Hampshire, Thursday. 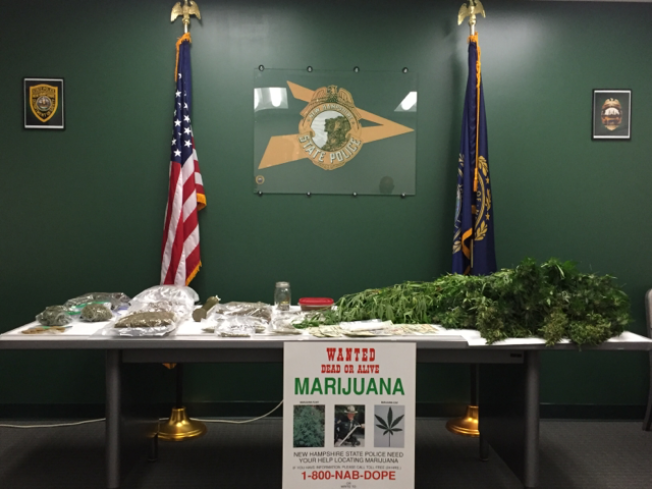 The package contained approximately one pound of Marijuana. Authorities searched Delong's residence after obtaining a search warrant and found 81 Marijuana plants, four additional pounds of processed marijuana and four ounces of MDMA, "Molly". The estimated street value of the drugs seized is approcimately $190,000. Police also found a Marijuana growing operation and evidence of the distribution of controlled drugs. Delong was taken into custody without incident. He was arraigned at the District Court of Merrimack and is being held at Hillsborough County jail for lack of cash bail.